Judy Chicago was invited by Tate Liverpool to be one of 13 artists, musicians, and performers from the UK and abroad, each tasked with representing one of the tracks on the Beatles' seminal album, Sgt Pepper's Lonely Hearts Club Band, as part of a city-wide celebration of the album's 50th anniversary. For her assigned song, "Fixing A Hole," Judy has designed a 40 foot high mural that will be painted on the side of the monumental White Tomkins and Courage Grain Silo at Stanley Dock in Liverpool. The British Music Experience is a permanent exhibition dedicated to the history of popular music in Britain. Featuring state-of-the-art effects, iconic memorabilia and artefacts from almost every major artist and musical movement since World War Two, the attraction is located in the spectacular Cunard Building, one of Liverpool’s landmark Three Graces lining the city’s waterfront. Working closely with English Heritage and Liverpool City Council, Harcourt constructed the exhibition in conjunction with Harvey Goldsmith CBE, Cubit3D and DJ Willrich. The exhibition is operated by Harcourt associate www.tblinternational.com the management team behind Titanic Belfast - the world’s leading visitor attraction. Venue part of ambitious plans to turn 'Ten Streets' into city's new creative quarter. The Ten Streets area includes the 125 acres of dockland between Costco and the Titanic Hotel at Stanley Dock. It sits next to Peel’s £5.5bn Liverpool Waters regeneration scheme, which could include a new Everton stadium. Hundreds of people who faced spending Christmas Day alone were treated to a festive lunch at a luxury Liverpool hotel. Over 300 people were entertained by a team of around 80 volunteers at Stanley dock yesterday for the Titanic hotel’s annual White Christmas event. With Liverpool City Council set to create a new Creativity Zone in the North Docks, Getintothis’ Paul Higham brings exciting news of benefit to the city’s creative and artistic communities. Where first it was the Baltic Triangle that fell under Liverpool City Council‘s radar, providing a hub for vibrant new creative enterprises to flourish, now its attention has shifted northwards towards the city’s northern docks area. The City Council will look to create a Cultural Enterprise Industry Hub to neighbour existing developments at the Titanic Hotel and Rum Warehouse Conferencing Centre and plans will be submitted to the City Council‘s cabinet on October 14 to approve what has been termed as the Atlantic Corridor Development Framework. 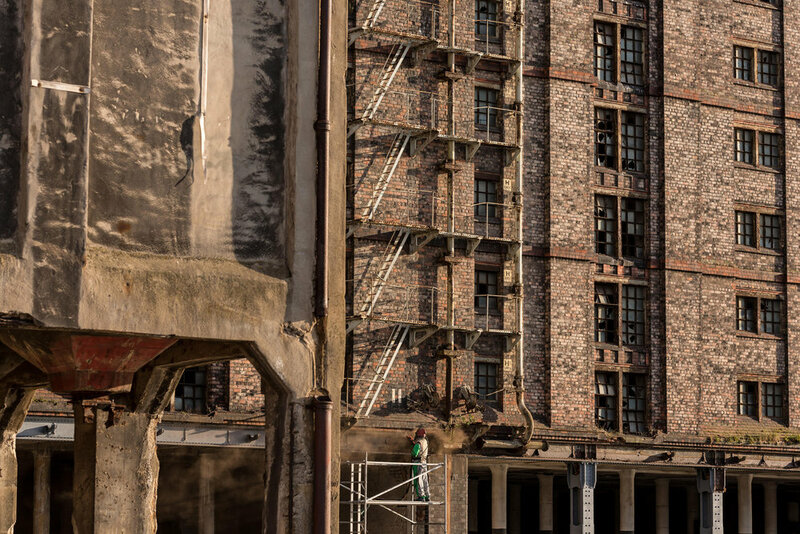 It is envisaged that this will encompass a zone known as the Ten Streets which will run from an area immediately north of the city centre’s commercial district to the Stanley Dock complex. 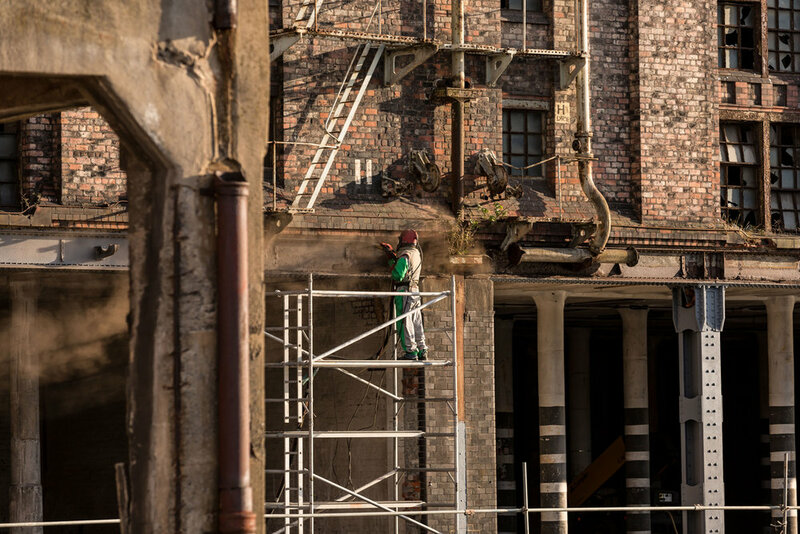 The focus of the development will be on the existing architectural infrastructure, with many of the area’s former warehouses ripe for conversion and the low rent base making the area an ideal location for start-up businesses in the artistic, creative and digital fields. Liverpool’s Mayor Joe Anderson speaks positively about the developments suggesting that the area has been “a sleeping giant for far too long” and the opportunity exists “for the first time in generations…to resurrect its fortunes“.